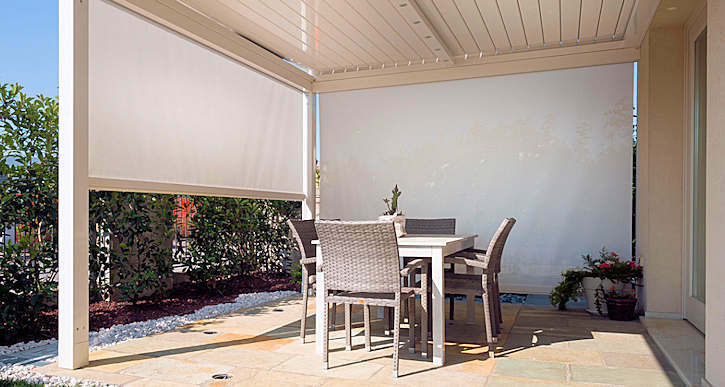 Due to the air circulation between the louvered blades and the ability to block the sun's harsh UV rays - you can create the climate that is most comfortable to you. You can even use the new climate sensing technology to maintain your preferred microclimate so your remain comfortable. We have three customizable models of Louvered Pergolas. 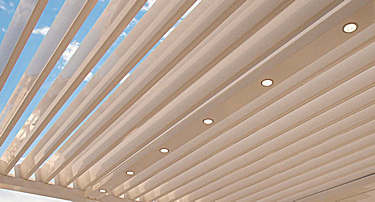 KE Dry is a bioclimatic pergola with adjustable louver blades which safeguards you from the weather. Thanks to the roof with adjustable blades, you can adjust the sunlight, or shut out the sun completely. 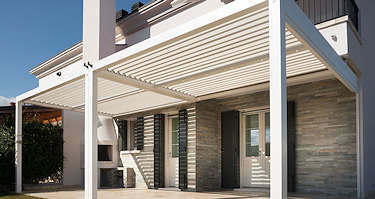 This aluminum louvered pergola has a modular design that makes it a suitable protective covering for any type of outdoor living area (gazebo, patio or terrace). It is also suitable for cafes, restaurants and other businesses.